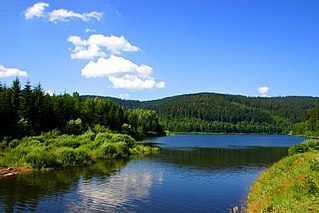 The Vistula in soothren Poland wi Silesian Beskids seen in the backgrund. 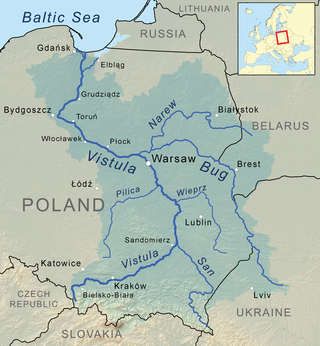 The Vistula (/ˈvɪstjʊlə/; Pols: Wisła [ˈvʲiswa]; German: Weichsel) is the langest an lairgest river in Poland, at 1,047 kilometres (651 miles) in lenth. This page wis last eeditit on 18 Februar 2019, at 01:22.